If somebody can open this and paste it I will give you 1 like with a wink. ASX RELEASE5 April 2019ARDENT LEISURE FINALISES US$225 MILLION DEBT FACILITY Ardent Leisure Group Limited (ASX:ALG) (Ardent) today announced the completion of a US$200 million term loan facility, comprising a US$125 million drawn term loan and a US$75 million delayed draw term loan, as well as a US$25 million Revolving Credit Facility (collectively, the Facility) by its wholly-owned US subsidiary, Main Event Entertainment, Inc. (Main Event). 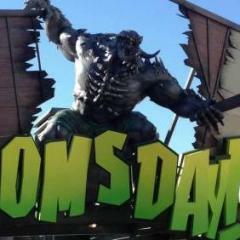 The Facility will be secured and guaranteed by Main Event and is non-recourse to the other assets of Ardent.The proceeds of the drawn term loan were used to repay Ardent’s existing Australian bank debtfacility, and the balance of the proceeds will be available to support investment in Theme Parks and Main Event as well as general corporate purposes. Following completion of the refinancing and after repaying the existing bank debt facility, the Group will have in excess of AU$80 millioncash. In addition to these funds, Main Event will also have access to US$100 million in undrawn facilities. The Board of Ardent assessed a range of alternatives to fund the growth plans of its two businesses, with a view to achieving the optimal balance of quantum, strategic and operating flexibility, tenor and overall cost to shareholders. The Facility provides Ardent with committed, longer term funding that enables it to make the necessary investments to return the Theme Parks operations to profitability and to support the development of new Main Event centres.Over the past 12 months, the management team of Main Event has made significant progress, with recent new centre openings generating strong results and return on investment, and developed a healthy pipeline for future centres. The funds available to Main Event under the Facility will be utilised to accelerate the development of new Main Event centres, with a target of approximately 5 to 8 new centres per year. Let's hope DW also spend the money to get SV open quickly. 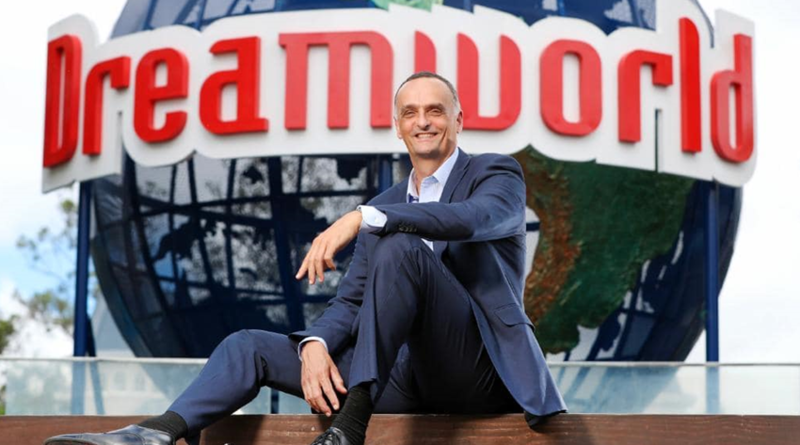 THE new boss of Dreamworld has hinted at major announcements “in the very near future” after its parent company landed a $225 million financing deal. In an announcement to the ASX this afternoon, Ardent Leisure Group said it would borrow $225 million through its US-based Main Event business, using part of the refinanced funds to pay off the company’s bank loans, which its half-yearly accounts said were $97.6 million. Ardent said $80 million cash would support investment in theme parks. Dreamworld CEO John Osborne said the announcement was great news for Dreamworld. “Essentially it allows us to proceed with our master planning process with a little more confidence and that will mean identifying what happens in the next five to 10 years for Dreamworld,” he said. “I’m really pumped about making sure we get back to a profitable situation and the refinance gives us the opportunity to start making some announcements in the very near future. “We’ve got some very popular attractions here already and we’re back in business already, but clearly we want to increase and replace some of the attractions we’ve got. Ardent shares closed 0.45 per cent higher at $1.115 after a daily high of $1.145. 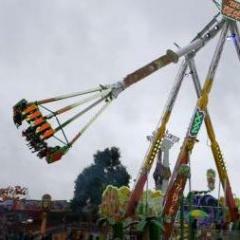 Mr Osborne said the park’s 1000 staff were focused on running its current offerings well, with more rides in operation today than had operated at any one time for the past two years. He said a suite of entertainment planned for the school holidays and beyond would bring more visitors back to the Coast icon. Ardent Leisure logged a $21.8 million loss for the first six months of the financial year as costs from the 2016 Thunder River Rapids tragedy continued to drag on the company’s bottom line. However, the company said it expected to return to positive cash flow in the next 12 months. The State Government announced last month it would spend $2.7 million in partnership with Dreamworld to expand the park’s Corroboree and wildlife area. The 25-year-old Wipeout was decommissioned in March and the site of the former Thunder River Rapids Ride has been completely cleared while the park prepares to launch its Sky Voyager virtual reality ride. This might just be the "outside of the box" thinking DW needs right now but money aside, DW needs a solid plan (short/mid/long term). They haven't been able to commit to anything in Christ knows how long and having a solid direction and delivering on the timeline is vital in getting them out of their current shitstorm. - Get SV open and KEEP IT OPEN. - Get a temporary Ride like a KMG in the old Wipeout spot STAT and keep it there until something more permanent can be sourced. - get the Koala wildlife thing open as quickly as possible. Animals at DW are one of the Park's best assets and the only part that is actually ran properly. - keep everything else running and invest the right amount of money in what is worth keeping. - Build that kick arse new Coaster. Where do you think the next attraction will be built ?